We create exclusive custom designed websites for all dental specialties including websites for periodontists (Perio). Our modern and responsive websites are customized for a variety of practice sizes and different focuses, to build you a unique online presence. 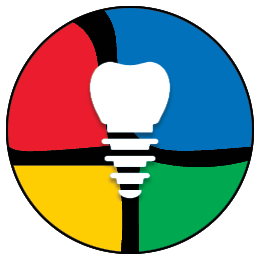 Your procedures, services, patient education, implant maintenance instructions, and patient experience approach is unique to you, and should be positively reflected on your website. We understand that you have a concern for patients with health challenges such as heart disease, diabetes, or pregnancy, and your website needs to reflect the patient experience to be a positive one with your caring approach. We provide customized periodontist websites for Perio treatments that offer both advanced gum treatments and dental implant placement procedures for prevention, diagnosis, and treatment of periodontal disease. We understand that you may have a need for patient education to help with case acceptance in the areas of surgical and non-surgical treatments. These may include the placement, maintenance or repair of dental implants, treatment of oral inflammation, cosmetic periodontal procedures, severe gum disease or gum problems such as gum line recession, scaling, root surface cleaning or root surface debridement, amongst others. If you are looking for a unique and customized website with community presence to service any of these areas to your patients and referring doctors, we can help you get positive results. Our Periodontist websites are designed to help you keep a constant flow of new patients by standing out from the crowd. Match this with our patient education services, and you are sure to increase case acceptance and productivity.